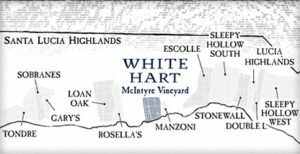 The oldest Pinot Noir vines in Santa Lucia Highlands supply White Hart Pinot Noir. Grapes like this don’t come along every day. Most of these McIntyre vineyard vines are forty four years old. And they are certified sustainably farmed. In California there has been such a rush to the Dijon clones that old clones like these are hard to find. They produce a wonderful blend of red fruit flavors (raspberry, dried strawberry) and black fruit flavors (black cherry) that is distinctive. The Santa Lucia Highlands comprise the Eastern flank of the Santa Lucia Mountains that extend Westwards towards the Pacific ocean. The dominant feature are the alluvial terraces. 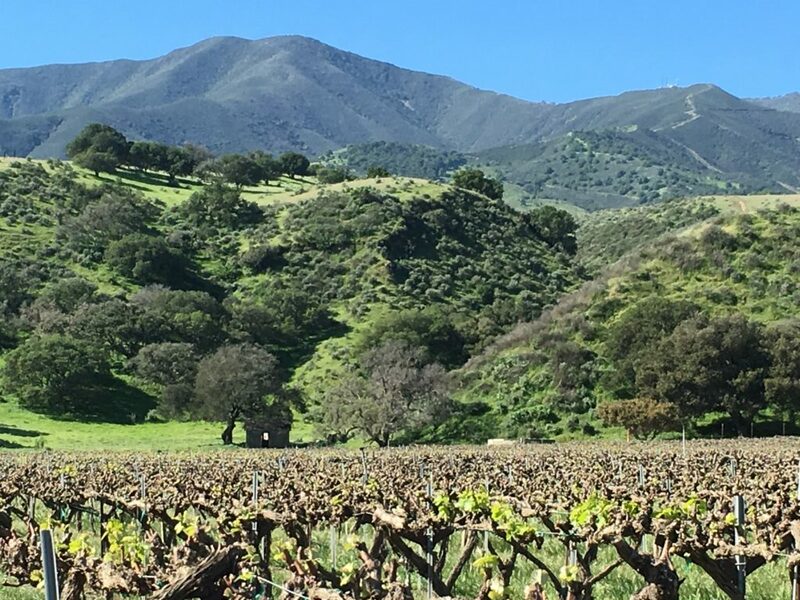 These terraces are a major factor in differentiating the “Highlands” from the Salinas Valley.